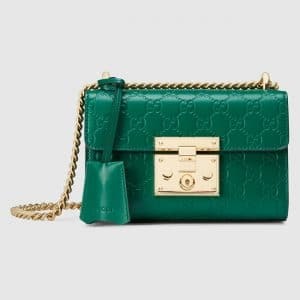 Presenting the Gucci Padlock Bag. 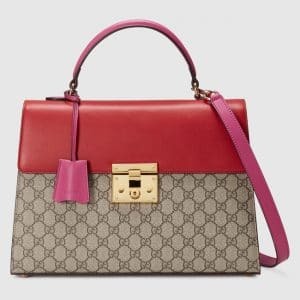 The Padlock Bag was introduced in 2015 for Gucci’s Spring/Summer 2016 Collection. 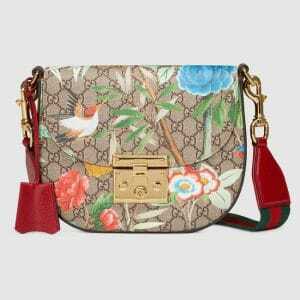 This is another Gucci hit from Creative Director Alessandro Michele. 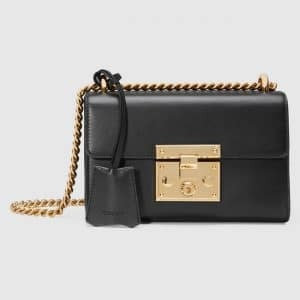 Even celebrities are a big fan of the Padlock, these includes Kris Jenner, Dakota Johnson, Elle Fanning and Tara Reid. 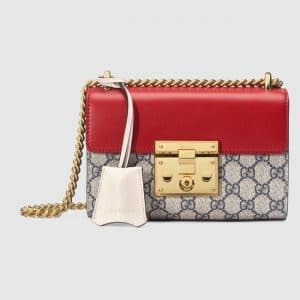 It features a keylock closure which was inspired by the brand’s iconic travel trunks. 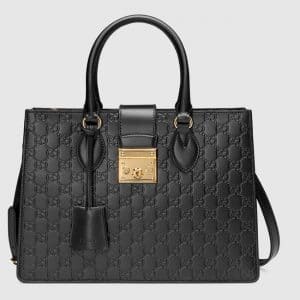 The Padlock Collection comes in a variety of bag styles such as shoulder bags, pouch and top handle bags. 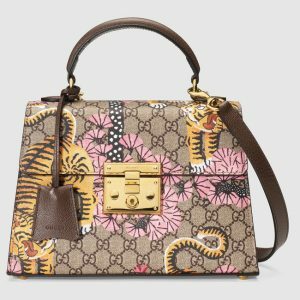 It is available in different materials and prints including GG Supreme Canvas, Gucci Signature Leather, Python, Embroidered and Studded Leather, as well as the Tian and the new Bengal prints. 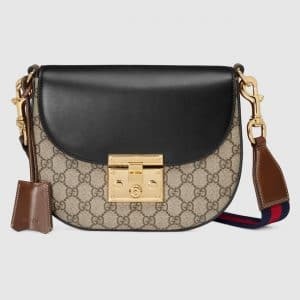 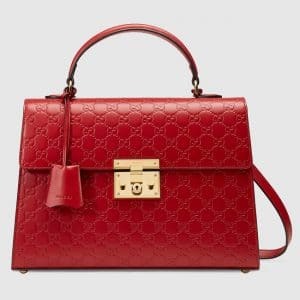 We know all too well that Gucci is in the business of giving us only the best…and today, we’re getting some great stuff with the Gucci Padlock Shoulder Bag. 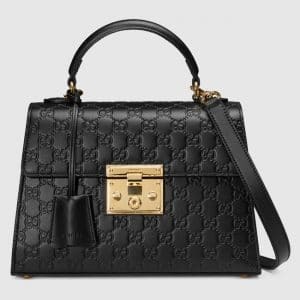 The basic babes will love this classic piece – we’ve even featured this particular piece some weeks ago (which you all loved dearly). 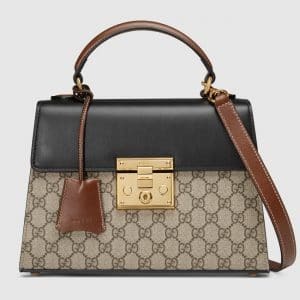 For more information about this piece, you can click on the link below! 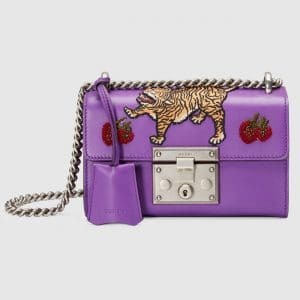 Today, we’re seeing some cool colors available (even a two-tone one that’s honestly TDF!). 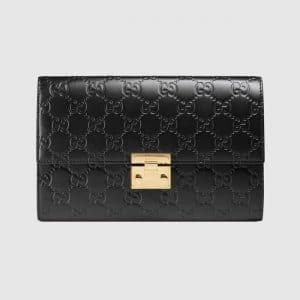 All the same, it features a key-lock closure, which keeps all of your valuables secure. 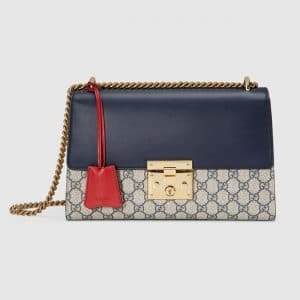 It also has a sliding chain strap, allowing you to wear multiple looks with just one bag. 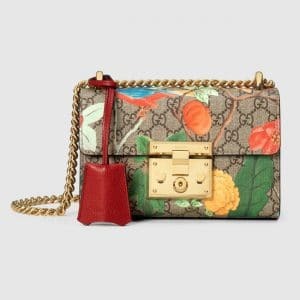 We don’t know how Gucci manages to do it, but we’re happy! 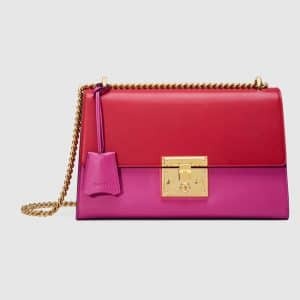 What do you think about these colors? 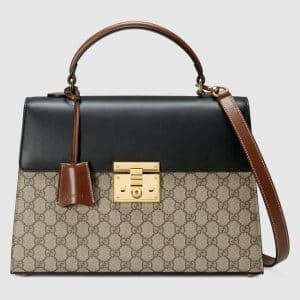 Measuring 8” x 5” x 3” inches (W x H x D), get your very own Gucci Padlock Leather Shoulder Bag now! 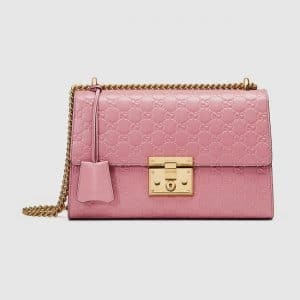 Alexander McQueen is giving us lots of reasons to look forward to their designs this season with their line of Padlock Bags! 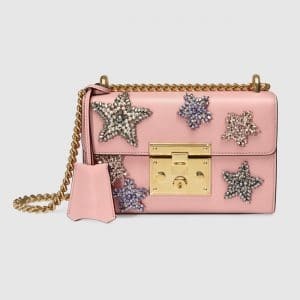 We are totally swooning over their edgy pieces (the bling these babies are totally worth every pretty penny!). 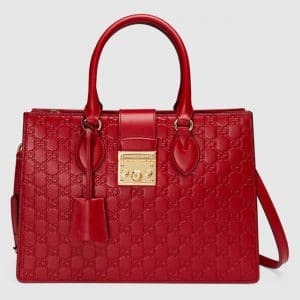 These pieces come with a detachable, adjustable leather shoulder strap, double top handles and a top zip closure that’s bound to keep all of your personal effects intact. 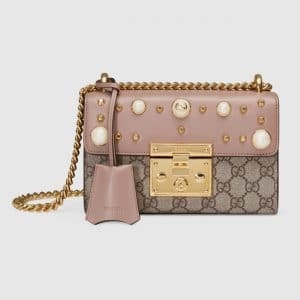 They even come with a cute metal skull charm and is loaded with lots of pockets, giving you more than enough space. 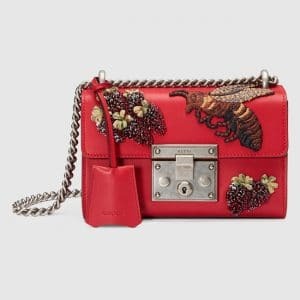 Alexander McQueen has made it possible!